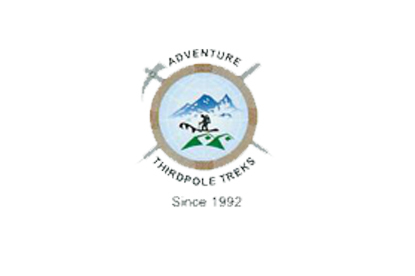 Magic Nepal tour is the best way to discover all Nepal. All the characteristics of the country are gathered in this program as 14 days / 13 nights covers the major sightseeing places in Nepal. and you will definitely enjoy the cultural tour in Kathmandu city, the historical city of Tansen and Gorkha village, the landscapes seen Pokhara, the religious trip to Lumbini and the wildlife activities in Chitwan. This morning you move to Dakshinkali, a holy Hindu place 20 km south of Kathmandu. There lays a temple dedicated to the terrible goddess Kali. Hundreds of devotees (especially on Tuesdays and Saturdays) gather at the temple to pay homage to the goddess and sacrifice animals for Her. Afternoon, you discover Patan Durbar Square. Patan also called Lalitpur means “the city of artists”. One hour drive from Kathmandu is Changunarayan Temple at the top of a hill. This Hindu Temple is registered as a World Heritage Site by UNESCO. This temple dedicated to Lord Vishnu, the God of Protection is the oldest temple in the country. Driving down from Changunarayan Hill, you stop in Bhaktapur for visiting its Durbar Square. The Durbar Square of Bhaktapur is the cleanest, the most well conserved and the most peaceful of the three Durbar Square of the Valley. Among the attractions, you visit the Golden Gate, the 55 Windows Palace, Taleju Temple and Nyatapola Temple, a five pagodas temple. You are then transferred to Nagarkot, a city at the top of a hill (2000m) from where you can enjoy a panoramic view on the Himalayas. 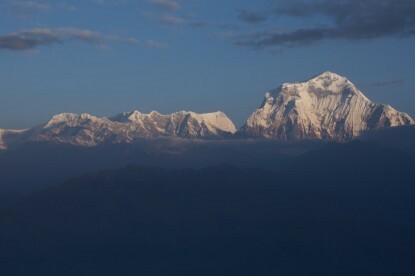 From there, you can see the ranges of Annapurna in the west, Manaslu, Ganesh Himal, Langtang, Rolwaling and Everest in the east. From Nagarkot, you drive to Namo Buddha Monastery. The Buddhist monastery hosts 250 monks and hides the legend of a Prince who gave his own body to a starving tigress. From Namo Buddha, you start a three hours hike down to Panauti. 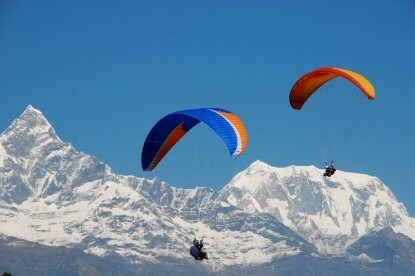 After visiting this city you are brought back to Kathmandu. This morning, you move west of Kathmandu for Gorkha. This city has a big meaning in the history of Nepal because it is from here that Prithvi Narayan Shah started the unification of the country in 1750. After visiting Gorkha, you are transferred to Bandipur, a picturesque Newari town which has been developed in the early 20th century thanks of being a major stop on the Tibet-India trade route. Leaving for a hike, this morning you reach Ramkot after three hours walking. 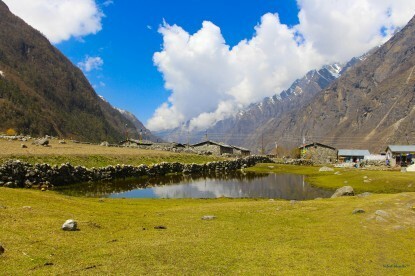 This village, off the touristic areas, is a perfect example of life in the countryside in Nepal. Then you go back to Bandipur to have lunch. 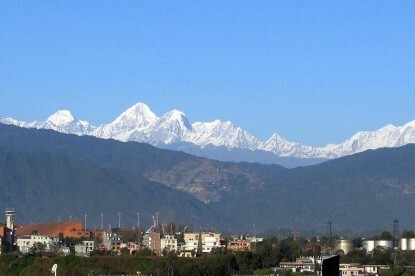 After lunch, driving west of Bandipur, you reach Pokhara, the third city of the country. Pokhara is famous in Nepal because its situation at the feet of the Annapurna Region is the starting point of many treks. 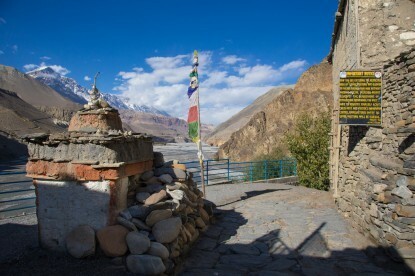 You visit the International Mountain Museum which offers a glimpse over the ethnic group in Nepal and the history of each of the 8000 meters Himalayan peaks. Later on, you discover Davi’s Fall. After an early wake-up, you move to Sarangkot Hill for a wonderful sunrise over the Himalayan Range. After breakfast, you enjoy boating on the peaceful waters of Phewa Lake, the main attraction of Pokhara. After lunch, you move to Tansen for a six hours journey by bus, south of Pokhara. Most of the people in Tansen are Newars who mainly migrated in the 19th century when trade opportunities opened here. This morning, you drive by jeep and hike down to the banks of the Kaligandaki River to discover Ranimahal. Rani Mahal is a marvelous palace built by the Rana Governor of Palpa (1893) in memory of his wife Tej Kumari. Rani Mahal is known as the Indian Taj Mahal in Nepal. During the afternoon you visit Tansen Old Bazaar and Tansen Durbar. Later, you move to Bhairabi Temple which settles at a top of a hill. Today you move to Lumbini. After three hours driving, you reach the birthplace of Lord Buddha. Because of that, it has become a famous place for Buddhist pilgrimage. In the Sacred Garden of Lumbini spreading over 8 kms², you see Maya Devi Temple built on the exact place of Siddhartha Gautam's birth, Puskarni Pool, Ashokan Pillar and many other Buddhist temples and stupas built by other countries. 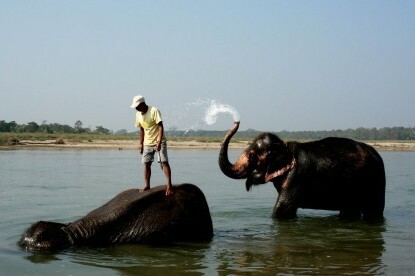 After lunch, you move to the Chitwan National Park in the lowlands of Terai. This natural reserve, stretching over 900kms², has been established in 1973 and has been registered as a UNESCO World Site Heritage. Today, you enjoy the jungle safari activities during all the day: elephant breeding center, elephant bath, jeep safari and the visit of a Tharu village. Today, you enjoy the jungle safari activities during all the day: elephant back safari, boating, jungle walk and Tharu Dance Cultural Show in the evening. 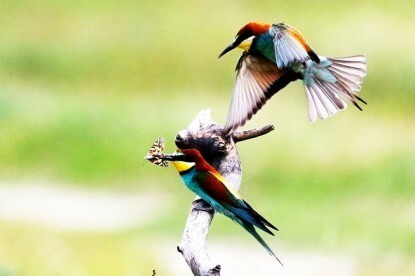 After birdwatching in the morning, you move back to Kathmandu. On the way, stop at Manakamana Temple, a Hindu Temple at a top of a hill reachable by cable car. This place is very faithful and many pilgrims visit it every day. This morning you discover the Stupa of Swayambunath known among foreigners as Monkey Temple. This Buddhist Temple settles at the top of a hill in Kathmandu. It is registered as a World Heritage Site by UNESCO.